Entirely new applications are emerging in the enterprise. Some obvious applications include VR/AR, industrial automation, smart city advances like video security monitoring and even autonomous cars. The connectivity requirements for these applications is very different from today’s – whether it is bandwidth, latency, or reliability. This is a topic that deserves a post by itself but suffice to say that this is causing every business to examine their strategy for wireless connectivity beyond today’s mobility solutions. The industry is responding to these new requirements with a range of options. Probably the most notable of these is broadly labelled “5G”. 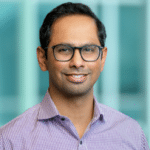 The growing hype around 5G continues to increase the conversations around possible solutions for enterprise and in-building connectivity. While the hype for 5G is understandable and immense, organizations who examine this closer are growing increasingly excited about OnGo/CBRS. Needless to say, I think OnGo has all the elements to meet the demands of emerging applications while offering enterprises a path to 5G over the next 3-5 years. 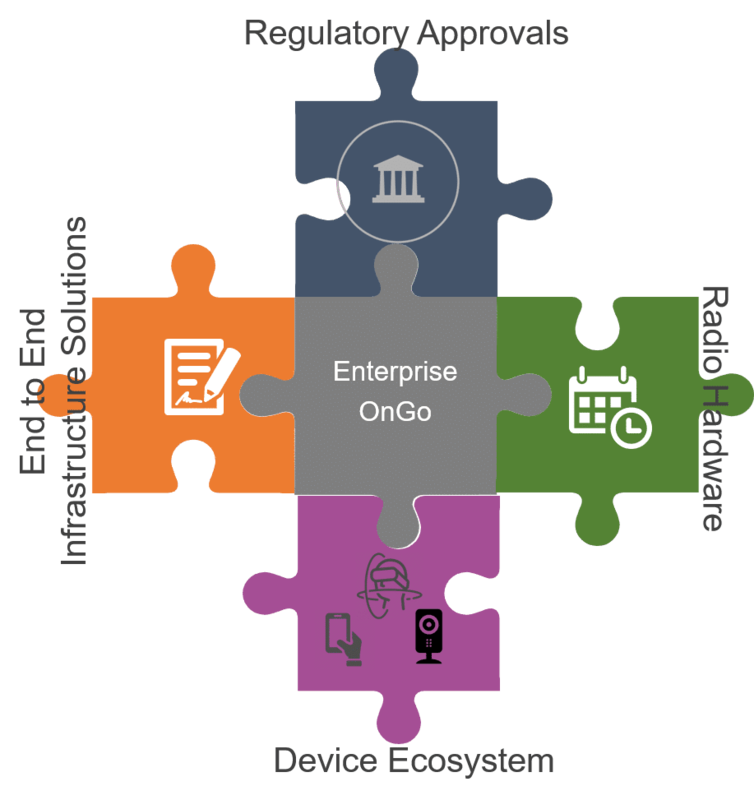 In this blog post, I take a closer look at the overall readiness of OnGo for enterprise use and identify the key remaining enablers. 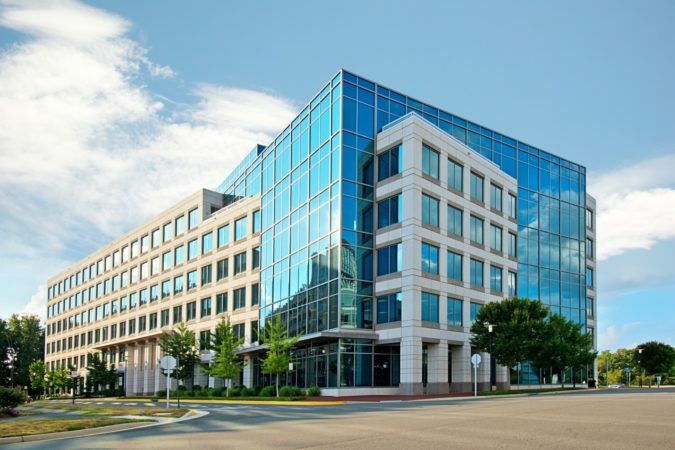 Given the number of stakeholders in the business of in-building wireless connectivity (building owners, IT teams, mobile network operators, enterprise networking equipment vendors, system integrators and managed service providers), one often gets lost in just defining the problem statement. To simplify and solve the real problem, I believe the key is to focus on only the end user and no one else. Will my voice call work when I enter a building and as I walk around? Can I watch a live 4K video stream seamlessly without any interruption? Can I put on my VR headset and get an on-field experience from my seat in a sports venue? Whether it is robotics with computer vision in the factory or drone-based video surveillance, the common underlying requirement is reliable, secure, high bandwidth, low latency wireless connectivity. There are numerous excellent articles that describe what CBRS/OnGo does. Here are a few that I recommend reading to catch up on how this technology works. For those who prefer a quick summary – OnGo is LTE technology used on a “lightly licensed shared spectrum” band (3.5 GHz). The last phrase is the key here – currently LTE products typically operate on spectrum licensed (exclusively) by one of the operators. Therefore, in-building solutions can not be built independently of these operator networks. This introduces cost and complexity that makes it difficult for large scale adoption (Mobile Expert’s Kyung Mun has written an excellent report on this topic. I highly recommend this report for anyone looking at the challenges and possible solutions for in-building connectivity). 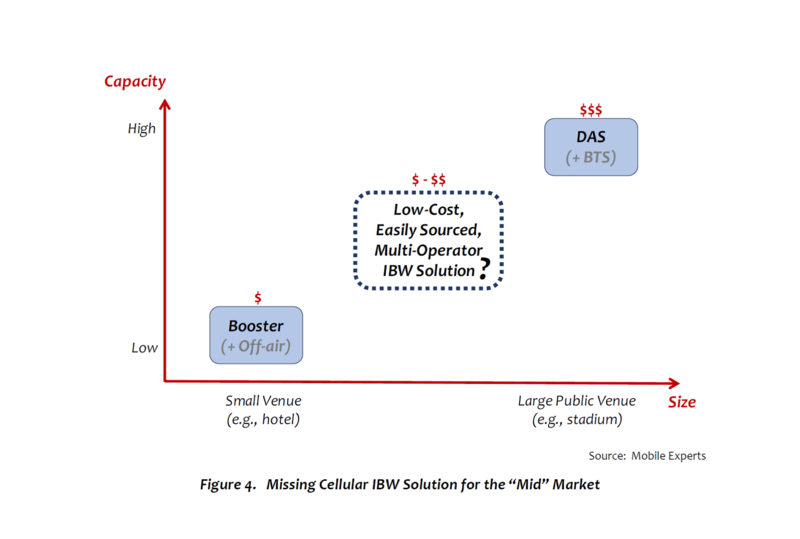 One of Mun’s key findings is that there is a large gap in low-cost IBW solutions for the mid-sized buildings that make up a majority of the market (Figure 4), and OnGo offers the potential to fill this gap. The OnGo ecosystem is at a very exciting stage today. Many of the puzzle pieces are in place for the technology to be adopted in the market. As this ecosystem continues to develop, I often get asked about the maturity level of each of these required components. Since everything from sports to pop culture believes in a scorecard, I’ll use a scorecard to provide the current level of each. The collaboration between the industry and FCC on the Part 96 regulations laid the groundwork for the visionary shared spectrum model. This process has done exceptional work in not just defining the rules but creating an open standard for products to be developed AND certified. Years of hard work is on the verge of culminating in the final certification of both the CBSDs (the radio hardware products) and the SAS/ESC (Spectrum Access Systems and Environmental Sensing Capability) systems. Once certified, this spectrum is available for commercial use. In the best possible indication of the market demand for the OnGo solution, a robust ecosystem of RAN vendors delivering OnGo products for different use cases has emerged over the last 2-3 years. There are now 35+ companies delivering products that range from small cells, base stations, and DAS systems to CPEs in order to meet the needs of every use cases – including in-building LTE networks. To truly meet the needs of in-building networks, OnGo solutions need to include other components like the mobile packet core, management solutions, integration with enterprise applications (for private LTE) and with operator networks (for neutral host applications) etc. I’m seeing some very interesting models and companies emerge in this area but it still needs work. I anticipate that the next 12-18 months will see intense activity in this area to see strong integrated solutions emerge. As with every networking/wireless technology the chicken and egg question is always about the end user/application device ecosystem. OnGo devices are expected to start arriving in the market by the end of this year. I also expect that there will be laptops and tablets in the market with this capability by next year. One area I’m monitoring is the adoption of OnGo technology in various IoT devices – especially in the Smart Building space. The technology advantages of OnGo for these applications are well proven – the only remaining question is about timing of availability of devices for these applications. This is the only reason I rate this lower on the score – once these types of devices also embrace OnGo, the market will accelerate even faster. Net-net: if you are an innovator in industrial automation, smart building or digital workplaces, you cannot afford to ignore OnGo today. Early adopters are driving this market now and charting their path to get great competitive advantages – it is time to join this robust ecosystem! I’m curious to hear what you think about OnGo – did I miss a key component needed? Would you rate the maturity level differently? I would love to hear from you – please send us your comments on Twitter, LinkedIn, or directly.